Microprocessor-controlled knees (MPK’s), such as Orion3, are now available to patients on the NHS. Nick is one person who has benefitted from this technology since changing from a mechanical knee to an MPK. Nick worked as a glazier for over 21 years. He enjoyed an active lifestyle, playing football and golf regularly. Nick suffered problems with D.V.T. (Deep Vein Thrombosis) in his right leg and was rushed to hospital following a false aneurysm and major infection, it was then concluded that it was necessary for Nick to have an above knee amputation. Now, 45 years old, Nick lives in Sheffield, volunteering at Shopmobility loaning and hiring out mobility scooters and wheelchairs. Nick also spends his time giving educational talks at schools and universities. Nick found that his talks help others to understand his circumstances and disability, and sharing his experiences has helped Nick too. Nick was initially fitted with a mechanical knee but he found it to be problematic with wear and tear due to his active lifestyle. He used to rely on two crutches to get anywhere and lacked the confidence to walk without them, due to experiencing numerous trips and slips on the mechanical knee. So when Nick’s prosthetist offered him an MPK trial he accepted immediately. Nick found that his Orion3 MPK made walking a lot easier, more comfortable and less painful that his original prosthetic. Orion3’s Enhanced Stability Performance (ESP) reduces the risk of stumbles or falls and ensures more balanced limb loading for greater long-term health. ESP adapts hydraulic resistance in real time, providing optimal stance support whether walking in a crowded environment, on uneven terrain, slopes, steps and also when standing. 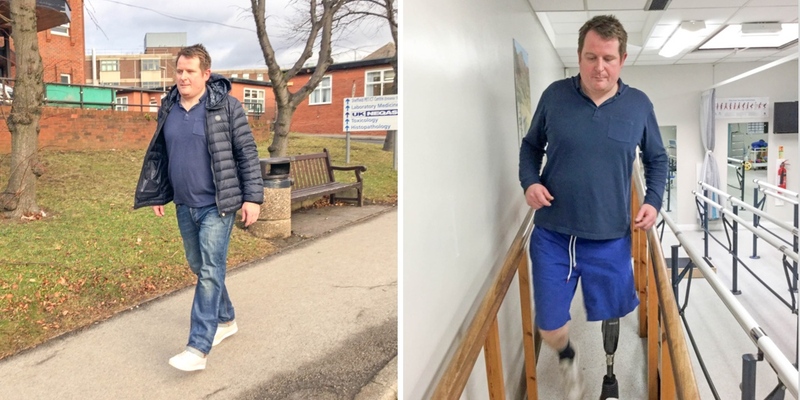 Nick feels more confident whilst walking and commented, “It has transformed my life, for which I am very grateful.” He is now able to walk without walking aids, and his friends have seen a huge change in his attitude and commented, “Nick seems a lot happier”. Nick said, “Orion3 has given me the confidence to go out and about my daily routine and made me feel so much more content in life. It has also made me feel less isolated in general.” Nick is hoping to be able to play golf regularly again and to continue an active social life with his friends and family. Overall, it has had such a positive impact on his quality of life.